How to study and become a Certified Food Scientist (CFS). Exam prep for the Institute of Food Technologists (IFT) credential program for food scientists. From a young age, I knew that I loved culinary as I saw the joy on everyone’s faces during family gatherings. I thought it was my destiny to become a restaurant chef but after high school, I decided to take my college education down a more scientific path. During my undergraduate studies, I learned about food from a new interesting perspective; science, technology, sustainability, and safety. I must admit that I had no idea one could become a professional food scientist. Average people don’t realize what an important role in the development of food products we play in the global market. The plethora of disciplines in the food industry is vast and fascinating! Typical products that you purchase each day have been researched, designed and scrutinized by a team of food industry professionals. As a Food Scientist, we make sure that what you buy is consistent in quality and most importantly, safe to eat! I want to share my journey of becoming a food scientist with you, and my experience on obtaining my Certified Food Scientist credentials through the Institute of Food Technologists (IFT). Food science is the study of the physical, biological, and chemical makeup of food. It draws from many disciplines in an attempt to better understand food processes and ultimately improve food products for the general public. Food technology applies food science principles for the selection, preservation, processing, packaging, distribution, and use of safe food. A Food Scientist uses science and engineering skills to research and develop food products and ensure the safety of our food supply. By applying their findings, they are responsible for developing safe and nutritious foods, while incorporating innovative packaging that lines the supermarket shelves. Food products that are available in the market are the result of extensive food research; a systematic investigation into a variety of food properties and compositions. After the initial stages of research and development comes the mass production of food products using principles of food technology. All of these interrelated fields contribute to the food industry – the largest manufacturing sector in the United States. Numerous universities offer food science degrees in the United States and internationally. There are many resources online to find schools and details on their program offerings. I recommend you request information and tour the school campuses if you can. If you know someone in the food science industry, then pick their brain and find out what schools they recommend. The IFT knowledge center is also an excellent resource for information on food science programs. The Institute of Food Technologists (IFT) is an international, non-profit professional organization for the advancement of food science and technology, and is the largest food science organization in the world. For over 70 years, IFT has strived to “feed the minds that feed the world”, growing a food science-based community and global forum to connect, share and learn. IFT is a visionary organization actively advocating and ensuring safe and abundant food supply for people around the world. In 2012, The Institute of Food Technologists announced they would be offering a Certified Food Scientist (CFS) credential. Through this program, the food science profession provided a formal certification program to recognize the applied scientific knowledge and skills of food scientists. CFS is a globally recognized certification program designed to meet the International Standards Organization (ISO) 17024 standard for personnel certification programs and is a way for food scientists to demonstrate their expertise and commitment to the profession. The International Food Science Certification Commission (IFSCC) was established to oversee the governance and policy-making for credentialing activities. Meet the eligibility based on degree(s) earned and work experience in food science (see chart below). Take the CFS examination (Computer-based exam, 120 questions)- Results available in approximately six weeks from the last day of the exam testing window. Maintain your certification– A recertification cycle occurs five years from the date of certification and completion of 75 contact hours over five years ($300-425). Now if you have complied with the requirements, it’s time to prepare for the exam! IFT provides a Certified Food Scientist Candidate Handbook, which is meant to guide you during your study preparations for the test. It contains detailed information on the exam content outline, testing windows and exam delivery information. I felt that the content was very broad, especially if your career path has been more specialized and focused. However, the test is meant to cover the basic breadth of food science and current laws and regulations, specifically testing the applied scientific knowledge and skills of food scientists. You may not be an expert in each area, however in your career, you have likely had exposure and experiences; therefore, your basic understanding and awareness are what is important. The first exam was administered in the winter of 2013 and to date, the inaugural class consisted of 1,441 food scientists from 54 countries across the world! The number of food scientists will undoubtedly continue to climb over the years, and I am elated to be part of the growing number of professionals who will receive their certification! Here is great video celebrating the first inaugural class of Certified Food Scientists and the benefit of the credential! The exam is offered three times per year and may be taken within approximately a 3-week testing window. The exam is a 3-hour computer-based test, administered at Pearson Professional Centers. 120 multiple choice questions (100 that will be scored, the remaining to be used in possible future exams). You are given an erasable note board or a small notebook to use. There is also a scientific calculator available on the computer. You can add comments for each question, providing additional justification if needed for your answers for the exam reviewers. I recommend not spending too much time with comments, answer all of the questions you can do with confidence first. You can electronically mark any questions you are unsure about, go back, and review at the end of the exam before you submit your answers. This helps to pinpoint exactly what questions need more thought. PREP COURSE – Attend the Certified Food Scientist Preparatory Course, offered by IFT- This course was designed to review each competency area in the certified food scientist candidate handbook. This is accomplished with excellent expert lecturers, printed lectures, practice questions, quizzes, follow-up webinars, review sessions and sharing tips. In-Person Course: Learn and review face-to-face with industry experts and other CFS candidates. The course lasts two days with a cost of $755 (IFT members) and $920 (non-members). Online Course: Learn on the go at your convenience! It has similar learning modules and practice exams. This allows you the flexibility to go back anytime and review sections. They did not have this when I took the first exam, so this is a fantastic option for busy schedules and international applicants. The cost is $595 (IFT members) and $760 (non-members). Wondering if you should take the course? The prep course is recommended but is not essential for you to pass. For being the first class to ever take the CFS exam I thought the course was very helpful in passing. During the course, you can gain valuable perspectives from other industry professionals. A nice perk is the access to numerous practice questions modeled after the content in the exam. This helped to get a feel for how questions were structured, an advantage if you are willing to pay the cost. STUDY GUIDE – I used the certified food science handbook as a study guide outline and conducted more research on sections that I did not have as strong competency. I also heavily reviewed the lecture information I received from the CFS preparatory course. NOTE CARDS – For some of the detailed information and concepts, I created note cards to review and quiz myself. I used this method throughout my education; however, it is laborious, so it may not be for everyone. I just tend to remember small chunks of information best if I break them down. CHARTS – I created a chart or matrix in Microsoft Excel (or word) for a study area like the sensory evaluation section so that I could easily see each method/technique when it was used, why, and how the results were interpreted. This is how I best organize lots of information in one subject area to gain clarity. Information can get overwhelming and confusing, so my brain likes visual tools to compartmentalize the info. Create a CFS Study Group: Do you know of anyone else taking the exam? I found that one of the best ways to talk through some of the broadest areas was to connect with others taking the test. This doesn’t have to be in person, even through email or maybe Google Hangouts or Skype. You can talk through any challenging topics, especially if it’s not your area of expertise and you can gain insight on each other’s experiences. Perhaps commit to a weekly call to discuss certain areas of the exam, and just chat! Work and Industry Colleagues: Another way to study is to reach out to your colleges at work or friends in the industry. If you need help in understanding QA testing and release of products, reach out someone who has a better understanding that may deal with this on a day to day basis. Maybe take them out to coffee, or lunch, have some set questions in mind and have a conversation. I’m sure they would be more than happy to help you, especially sharing their personal real-life insights. The USDA, FDA, Code of Federal Regulations and WHO Codex Alimentarius government websites are great resources to find food safety and current laws and regulations on food. I did not buy any of the books on the recommended resource list because I had many similar books from college. However, if you would like to purchase some reference materials. Food Science: Fifth Edition – Food Science remains the most popular and reliable text for introductory courses in food science and technology. Food Safety for the 21st Century – This book is an essential resource for all scientists and managers in the food industry (manufacturing and foodservice); regulators and educators in the field of food safety; and students of food science and technology. Food Processing Technology – Introduces a range of processing techniques that are used in food manufacturing and explains the key principles of each process, including the equipment used and the effects of processing on micro-organisms that contaminate foods. Sensory Evaluation Techniques – Covers all phases of sensory evaluation and details all sensory tests currently in use, to promote the effective employment of these tests, and to describe major sensory evaluation practices. I gave myself, at least, three months to study and prepare for the exam. Attending the CFS preparatory course was an excellent way to kick start the studying. Luckily the exam was offered between 2-3 months after the course. I created a workable schedule and made a point to study at least 2 hours each night during the week, and longer hours on the weekend. It was certainly a challenging time, reminding me of those late night cram sessions in college! If you are not taking the CFS preparatory course, you may want to give yourself a few extra months to study. I could never have dreamed up all the opportunities & experiences that I received since the start of my Food Science education. Through both my professional career and starting my food blog, I have been able to apply my creativity, love for the sensory aspect of food and scientific knowledge to research and develop new food products. Congratulations! If I could do it over again, I would love to have studied food science in college. Thank you Jeanette! It’s never too late to learn more! Please let me know if you ever have any questions about food science, I would love to share my experience with you! Hi Samuel! Can you please provide more detail on your question? Thanks! Exciting and insightful article Jessica. I love your writing style. I’m currently attending the preparatory course ( 4 more webinars to go). Hope to sit for the CFS exam during the Oct- Nov testing window. I’m thrilled about the prospect of becoming a CFS. Keep up the good work. Thank you Lou! I have enjoyed every fun and challenging moment of my food science journey, and it’s great to see other passionate food scientists pursue their certification! Good luck on the test! A career path that I am looking into pursuing. Do you know is MS programs need to accrediated by ITF? Hi Niki! Great to hear you are interested in pursing a career in Food Science! I received information back from the Certification Manager at IFT and was provided with the following information: To meet the eligibility requirements to sit for the CFS exam, an MS program does not need to be from an undergraduate program approved by the IFT Higher Education Review Board. However, it may make the CFS application process easier, since an assessment has already been performed for these programs that determined they meet the IFT Undergraduate Education Standards for Degrees in Food Science (here is the link for IFT approved undergraduate progams: http://www.ift.org/community/students/approved-undergrad-programs.aspx ). An application from someone with a degree from a program that is not yet approved by these standards may require additional information, such as curriculum or transcripts, to show that there is an adequate amount of science being taught in the program, but there is not a requirement that the degree program needs to be from one of the approved universities. Please let me know if you would like to contact the certification manager directly with any additional questions you may have, they would be happy to help you! Thrilled about your achievement!. I have a degree in food science and technology too and would like to take the board exam as well. Where do I start and how do I go about it?. Do I really need to take the exam before I can work as a food scientist in USA?. Approximately how much does a food scientists earn and how do I also go about getting a job as a professional?. http://www.IFT.org is the best resource for gathering all of the information you need for the application and preparation for the exam. You can look for jobs in the IFT career center website, or linked in is a great resource as well! Please let me know if you have any additional questions, I am happy to help! thanks jessica for this valuable information , actually im looking for this certificate but the only problem is how to get copy of this books to prepare for the exam, how much the cost & is it possible to get PDF copy may be it is cheaper than book itself ,please help. Hi Mostafa- Many of the mooks range from $50-$150+. If you click on the highlighted links to the books I recommend in the post, they link to amazon and show the prices. I would use amazon to look up prices of other books. Try to find used ones if you can for the best prices. If you own a kindle or ipad, some companies sell cheaper digital versions of the books. Maybe you can see if your local library has the books as well? I only have hard copies and not pdf versions of the books. Good luck! In your profession, does it require you to learn new skills? Hi Marley! As a food science professional, I feel that we always strive to learn new skills to stay up to date with technology, government policy and formulation. Many people also take business or leadership education as they advance in their career. Hi Jessica, I am planning to study food science, I need information on the best university and country to study food science? I am thinking USA, UK, or Australia, can you share the plus minus and comparison for those countries ? Hi Nama- I found a link from the Institute of food scientist which lists US and international schools that are approved and meet the requirements for education by IFT. I think this will be helpful for you. I, unfortunately, don’t have much personal insight on what international schools are best since I obtained my degree in the US. It is great to see your website and know about the certification exam. Are the 120 questions multiple choice questions or are they essay questions? I’m a high school student, and I think I might be interested in pursuing a food science degree in Canada. I love food (in the sense of baking and trying new restaurants) and I’m taking all the sciences at school (Biology, Chemistry, Physics). What type of non-academic skills should one possess to become successful in the food and beverage industry in one of the food science disciplines? Hi Selena- I am so excited to hear that you are interested in food science. Not many people know that the food science field exists, but it truly has a huge impact on the foods we eat every day! You are on the right track with the classes you are taking in high school because it’s important to have a foundation in basic science to best understand how those principles apply to food. For non-academic skills, I would definitely say passion, creativity, curiosity/exploration, communication, teamwork, leadership, and self-motivation. Understanding the business side of the industry is also helpful, which you can take those classes in college or get an MBA. Also, if you are a person that loves to learn new things (lifelong learner) than that’s a great trait for being a future scientist! Here is a great resource for you to use to help you answer questions about a career in food science, and what universities offer a food science program in Canada. Good news food scientists! The IFT Certified Food Scientist application deadline has been extended to January 31 for the Feb 1-28 testing window. Hi Ephraim! That’s a great question. There are so many areas of food science you can study and have focus in your career (product development, manufacturing, quality asurance, microbiology, sensory science, engineering, food safety, the list goes on). For the more techinical careers, you can supplement your knowledge with an advanced degree or experience on the job. If you are looking for leadership opportunities, having business expereince or another degree helps, or many people can advance into that position over time. Where do you see yourself in the food industry, what area are you interested in, and what is your ultimate goal? good read! i graduated with a bachelors in FS in May 2013 from the U of mN and I have no regrets of choosing this career. I currently work for driscoll’s in santa maria, CA, so it was pretty cool to read that you went to calpoly in SLO. My girlfriend is a junior in fS and it’s great to be able to help her whenever she has a question. I can say that all the effort really paid off. i’m thinking on taking this certification once i’m eligible. i Still need to wait 2 more years haha, but thanks for the tips! Hi Felix- It’s great to hear that there are more professionals entering the food science field!Your experiences with education and career sounds like it’s off to a great start! That’s awesome that you are interested in becoming a certified food scientist when you are eligible, it’s a wonderful program. I look forward to hearing more about your career in food science in the future! I really found all the information on your website very useful. I am already a graduate with a Biomedical degree and I am planning to do my masters in food science. I am very much passionate about food and recipes, and I will do some justice to the industry if I select food industry as my career. But I would like to know, will it be beneficial for me if I follow a diploma course on culinary arts / food manufacture? As a person who got plenty of knowledge and experience in the industry, I really would appreciate your suggestions. Hi Pinitha! With your passion for the food industry, I know you will make an impact! I think a master’s in food science is defnitely the way to go if you wuld like to be in research and development. Hopefully the program you are pursuing will have some food technology/ manufacturing courses to help you gain knowledge in that area. I don’t know of any non bachelor programs just for food manufacturing, it’s the hands on experience that will really give you that time and learning you need when you are on the job. I would honestly recommend that you complete your masters in food science, then look for a career in the industry before you tackle culinary school. It’s important to get experience in the industry, and that can help you decide if you want to pursue more school. Do you know what sector of food science you want to be in (product development, QA, micro, safety, etc) or the type of companies you would like to work for (consumer products, health foods, flavor houses, ingredients)? That will also help determine if additonal education is needed. Please feel free to contact me with any more questions you may have! Hi, i am a National Diploma student studying food technology in one of the Nigeria Polytechnics, my question is; is it very difficult to be a successful person in this career because my brothers are against the course and food industries are not many in Nigeria? Thanks. Hi Jumoke- It’s great to hear that you are studying food technology! Depending on your interests there are many opportunities in the food science field. Have you thought of taking a career in other parts of the world if you are limited in jobs in Nigeria? I am the Prostart coordinator for louisiana, Prostart is a culinary arts program in high schools THROUGHOUT the US. I am looking for STACKABLE credentials that students can earn in ADDITION to the certifications they earn from the National restaurant association. I was WONDERING if you could point me in any direction for some type of certification in food service that they students could work TOWARDS. I appreciate your help and look forward to hearing from you. Hi Devi- Your program sounds amazing, especially helping students so early on in their learning! Besides the ServeSafe certification (http://www.servsafe.com/home), which they will need to pass when they begin their formal culinary training at an accredited school, a more indepth look into food safety that I became certified in is HACCP (hazard analysis and critical control points), http://www.nsf.org/services/by-industry/food-safety-quality/haccp/. This was a mandatory class/certification in my food science education, especially if you work in a manufacturing setting. I am also a certified Culinary Scientist through the Research Chefs Association, and they offer certifications for Research Chefs as well. I AM a OBGyn doctor in vietnam for 15 years but interested in food science so much. could you please instruct the way to go. my relatives stay in anaheim, california, could you kindly let me know which college or univerity is suitable for me to choose. Hi Kim- Great to hear that you are interested in Food Science! thank you for sharing your experience with us: very useful article. I am a phd in food science and i am really considering taking the exam next year. i would really appreciate if you could clarify two questions. do all candidates take the same exam covering the eight food science topics or do the exam vary with the area of interest and experience of each applicant (e.g. quality assurance)? i noticed that on the resource list of the cfs guidelines no quality assurance & control book was listed as reference. would you know which one was used as reference in the cfs preparatory course for this topic? 1) All candidates take the same exam, so even if you have more expertise in on area of food science, the test will still cover all eight topics. I would recommend reviewing the outline and seeing what information you already have from QA textbooks, online and government websites. Then determine if you need to purchase additional resources. The CFS prep course also really helped me to narrow my studying for each section of the exam. Please let me know if you have any additional questions, good luck on the exam! 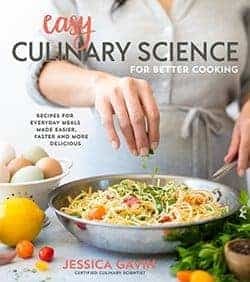 Hi Jessica, thanks for posting info on how to become a food scientist. I found it really helpful. I recently graduated with a BA in chemistry, and decided against going to grad school because I wasn’t sure what I wanted to do with a higher degree. I was looking at a list of possible career paths and food scientist sounded the most interesting, however, I have zero experience in this field. Do you know if it’s possible for someone like me to gain experience and enter a food science program later? Some internships I’ve looked at requires a food science related degree, which I don’t have… How can I gain experience? I would also recommend that many food science companies offer tuition assistance if you do decide to get an entry level position at the company and pursue higher education. For example, you may be most qualified to start in the Quality Assurance/ Quality Control department where products and raw materials are tested and released. If that company supports higher education, you can take short courses in food science, or pursue a masters degree in food science. I did something similar to this at my current company after my first year. I already had my master’s in food science, however pursued a culinary arts bachelors degree as I worked full time. Many of my colleagues have also completed their masters in food science while working. I would also check out the Research Chef’s Association education and certification program for “Culinary Scientists”. Just fyi, did you know that the INAUGURAL class of 1500 Cfs never had to write the exam? I found out when i wanted to check With a colleague on how he felt about the exam questions But was told that he Didn’t have to write one. This knowledge turns me off about getting the certification. It does not seem to be fair for people who just missed out on the communication email. The exam is a Way of generating revenue for ifT i my opinion. Hi Jessica, I am currently taking my masters programme in my native country,Nigeria. I have major interests in food product development, food safety, quality control and assurance and sensory. My greatest goal with food science is to Become a onsultant. I have Bachelors in Pharmacy (4years), later I did my Ontario advanced diploma in Microbiology and food biotechnology (2 years), and presently I am Qc/r&d technician in a food company from last 2 months, how long I have to wait for the cfs exam? do my qualification waive me some years? Hi Gobind- Based on the CFS requirement detailed in the post, If you have a masters in food micro/Biotechnology, you would need 4 years of work experience before you can take the exam. You would need 6 years experience if you have a bachelors degree in a science related field that is not food science. I hope this helps! Great blog post with a lot of useful information. I hope to take the exam as soon as I finished my BS in Food Science (one class left! woohoo!) I will qualify since I have been working while in school and have almost 7 years of experience. Although I have heard the exam is tough. Anyway, I think your site is great and I’m definitely going to check out some more of your articles. Wow, this is the most informative blog/website I have found on Food Science education information. Thank you so much. I am a Medical Laboratory Technologist and I have 2 years of exp in hospital laboratory in chemistry, hematology and bloodbank and now I work in microbiology lab. I am interested to do Masters in Food Science but it’s an online program at U of I Urbana Champaign. What are your thoughts about an online MS program. Will I have the same opportunities as people who take classes on-campus. I don’t have a thesis, and I don’t have a field of specialization. It will be a Masters in Food Science and Human Nutrition. I guess I can take electives towards an specialized field like food micro, food safety or food chemistry. What are your thoughts about it. Hi Obaid- Thank you for contacting me! It’s exciting to hear that you are interested in pursuing your master’s in food science! I took a quick look at the program that you mentioned and it looks like it offers some good courses in food chemistry, food processing, statistics, micro and sensory, all of which are important areas of understanding that a food scientist faces each day. I personally like to be physically in a class room because that is how I learn the best, however if you are self motivated and dedicated, than I think you can find success in an online program as well. Many of us of have still work full time while pursing an advanced degree, so I don’t think that will work against you. I like how the courses offered are live video so that you can interact and ask questions directly to the professor. If you are not able to attend onsite, I think this is a good option. I would contact the program and make sure that it is recognized as an accredited food science program before committing. I think it’s okay that you will not have a thesis, but you would have to pass an oral exam. I would also look for opportunities to do an internship while you are in school, maybe on a summer break. It’s much easier to get experience within a food company if you are a student. But if that is not a possibility that is okay. Good luck! Thanks for such great info on food science. Do you know if online masters in food science is gonna beas good as on-campus program. I m a medical technologist, do i have good options in food science if i do masters in food science. Hi Thato! Thank you so much for checking out my blog post about becoming a food scientist. It is never too late to pursue your dreams! Does your college offer a food science degree? Typically it’s good to get a general understanding of biology, chemistry, statistics and even some business courses. What area of foods science are you interested in? Research and Development, food safety, food law, quality assurance? I can definitely provide more insight with more information about your interests. I have a B.S. in Food Science and am coming up on 2 years working in Research and Development. I would need to work another year to meet the requirements for taking the CFS but wanted to get your insight on how tough the test was to pass after the prep course, studying for 3 months and with a background in Food Science? Is the pass rate high? Thanks! Hi Alex- So great to hear from a fellow food scientist! I just presented my study and exam tips to the CFS prep course last week, so this questions comes at the perfect time. I think having a back ground in R&D, taking the prep course and studying for 2-3 months is a great recipe for success! I definitely felt more prepared after the CFS prep course because you are provided handouts and review each section, and you get to take a practice exam. They are actually offering an inline version of the prep course now, however I personally liked being in person for the prep course. The pass rate is actually very high, IFT just informed me that it was 90% since the recent exam, and that is incredible! Hi Christina- Great to hear that you want to be a food scientist! Most food science programs give you a good overall curriculum to cover math, basic sciences (chemistry and biology) and some statistics. Then you get to go into the really fun food technology, engineering, sensory science, product development and quality assurance classes. Don’t be detoured if say you’re not the best at science. Math and science was very challenging for me in high school, but I still pursued my food science degree. I just studied very hard and went to the professors office hours to get help, and I could actually see the science being applied to food so it made it more fun and applicable, much easier to understand once you see it in action! Try your best to work hard to achieve good grades the remainder of your time at high school. Apply for those colleges that your are interested in, and if for some reason you can’t get in right away, take your general education at a junior college and transfer later. Don’t give up on your dreams! Hey Jessica. I was looking for more information about this certification, as I am not all that active with IFT at this time. I found your blog post to be very informative. Thanks for sharing your experiences and carrying a flag for our profession (2012 graduate from Univ. of Nebraska-Lincoln’s Food Science dept). My question is this; can you tell me about some of the value you’ve found from having this cert? I’m still fairly young in my career (I need another year before I can take this cert anyway), but it seems like this is the first cert we’ve got that asks for a solid foundation in multiple areas of the profession. As I’m trying to map out what kind of continuing education would benefit me most, I stumbled upon this one, but with it being fairly new… I’m interested in hearing from someone from that first class and what value they’ve found it to have! Hi Brandon! It’s always great to hear from another food scientist 🙂 The CFS credential is pretty unique as it is the only globally recognized certification for food science professionals. It truly tests your applied food science knowledge that you use day to day and it’s a great way to reach the next milestone in your career. For me personally, I have found the certification to be valuable because it has distinguished my expertise from other colleges with science background at my company. It has also overall provided more recognition in our field, as I feel that many people don’t know about food science and the impact it has on our global food system. It really helps to stir curiosity and conversation with others which is really neat. Also I have found that I have been given more opportunities to share my experiences becoming a CFS through IFT, which has allowed me to present, interact, help and connect with other food scientists which is really fulfilling. Becoming a CFS shows your passion and dedication to our industry, and encourages you to continue to learn and develop in your career as a food scientist in an ever changing field, and it’s important for us to stay up to date and knowledgeable. I mention this because once you earn your credential, you are required to be re-certified every 5 years, which involves 75 hours of learning activities, which may include going to conferences, short courses, or other learning opportunities outside of IFT. I have found that my company has been really supportive to for me to spend the time to maintain my certification so I can continue to grow. If I didn’t have my credential, I think I would be possibly less motivated to actively seek education hours each year. Because I have done so I get to stay informed and learn, which I love! Please let me know any other questions you may have, I’m happy to help! I recently graduated with a BS in Food Science. I am currently looking for a job and I have no idea where to start other than IFT. Do you have any suggestions? I know I am not close to getting certified but I plan to take the exam in the future when I am eligible. But, I will be attending the Annual Conference in July and I wanted some tips on navigating through the expo. There is also specific “2015 IFT career Center Live” jobs where job seekers and employers register online to set up onsite interviews and networking during this years IFT. When you do land an interview, make sure you really research the company and their products and values, have questions ready for the company and know your strengths, passions and areas for growth. I would say try to find a position in the area you are most interested in. For me, it was product development, but you may be interested in QA, regulatory or manufacturing. It’s a little harder to transition later, but not impossible. Since this is your first job, just getting experience is key and as you spend time in industry, you will see what you enjoy. It also doesn’t hurt to update your linked in profile, reach out to your connections through private messaging and introducing yourself with your interests and attach a resume, or get connected with a head hunter. Please let me know if you have any other questions, good luck! Thank you Jessica for the step by step process. Very helpful. In order to take the exam , do you recommend taking the prep course . I see course is a bit expensive. Looks like $200 + for membership , $800 for course and $550 for test . Is there any way , i follow some books instead of $800 course ? Hi Sowmya- I absolutely recommend taking the prep course. It really helped my get focused on my studying and you have access to practice exams and an online community. They also offer an online version now, which you can go back on to review the materials based on your leisure. I thought the course was expensive too, but I considered it an investment in myself to help further my career (maybe you could apply it to some tax write offs at the end of the year?). However, there people who do not take the prep course and still pass. The books recommended on the IFT site are helpful, especially general food science, chemistry, sensory and QA. I used the textbooks that I had from school and you can also see if the library or amazon has discounted books (they can get pricey too). The test is broken down in different percentages of the subject areas, so you don’t’ have to become and engineering expert to still do well. I would say to review the study guide and see if you feel comfortable studying the exam areas on your own before committing to the prep course. The CFS is the only globally recognized food scientist certification, so I would pursue that accreditation. I have a culinary scientist certification through the Research Chef’s Association, but that is only valuable if you are interested in the culinary aspect as well. Please let me know if you have any additional questions! I have been trying to study for the test but once you get the books and look at those sites (for food safety and regulations) it seems pretty overwhelming, for this reason I was contemplating the prep course. It’s pretty expensive, specially considering the conversion, and so, I’m wondering if the prep course helps you narrow down what you need to study, more so than the handbook. I’m wondering aside from the prep questions, etc, if the course would be helpful in making my studying more focused hence spend less time looking at stuff that might not be necessary, because on the field of food science how much you can consider and understand is pretty broad, and being a Mom I really value my time outside of work… would you be able to advise on this? Thanks again! Hi Celeste- I totally understand your struggle and with you on valuing your time! For me I decided that even though the cost of the prep course was high, I was going to invest in myself so I could advance in my career. I like to feel fully prepared and focused for a BIG exam, and I truly felt that the prep course helped me do so. We were able to take a practice exam multiple times throughout the prep course to gauge how we improved and what areas to work on, we had a brush up on the general food science categories in the handbook and there is an online community after the course to help discuss questions the participants have and challenging questions on the practice exam. They also now offer and online prep course, where you can review the material to your convenience and still take practice exams, its interactive and it’s nice to do study and review when you have time, especially since you have a family to care for. When I studied, I used my textbooks from college, from my companies library and the internet for the more government related sections, especially on the sections that I felt needed a deeper dive after I took the prep course, but it was much more streamlined. Also remember, the categories that are tested are weighted differently, so you will notice that the food chem and QA section have more questions than say food law, so don’t feel like you need to be an expert in each. The test is about applied knowledge of your experience in the food industry, so it’s more about real situations and your thought process. I hope this helps, please let me know any questions you may have! Hi. I have no years of work experience. I seem to have the worst luck finding food science and QA jobs. I graduated 4 years ago and have not found a job in food science since then. I Have applied for jobs on the IFT website but after the interview, I am never hired. what am I doing wrong? Hi Haley- Thank you for your comment! I’m really sorry to hear that you are having a hard time finding a job in food science. When interviewing it’s really important to do your research on the company, have solid responses to questions you may anticipate (your experience, interests, how you deal with challenges, how you feel you could add value to the company and so on), and maybe practice with someone you feel comfortable with before the interview. Have you had any interview coaching or read any books that could help? Definitely an updated resume is good, having an up to date linked in profile and maybe connecting with a head hunter could help you find opportunities. Have you looked for any contract positions just to get experience, or be flexible on the location and type of position in food science? Thanks so much for the informative article as I was just wondering whether or not to be CFS is worth the money. I got a BS in Food Science and Technology at an IFT accredited school. I am working on a Master in Food Safety Regulation at a non-accredited school by IFT (Johns Hopkins new program) since I am a lot more passionate about Food safety and quality in comparison to food engineering. Do you think to be CFS would be a good investment if I am not pursuing those lucrative route? Also, since you have been a CFS for 2 years now, what do you say is the biggest advantage? Are you able to do something that you were not able to before you were certified? Hi Ryan- Thanks for checking out the article! When I was taking the CFS prep course I did meet many other industry professionals pursuing their certification who were from the regulation side like FDA and many others who were not currently food scientists. Like you, many people started off their bachelors in FS and then continued education in a more specialized field or went into industry doing something different. It’s the only food science certification that is internationally recognized, and as the numbers grow who become a CFS, I think the awareness and value of becoming certified will increase. Because you have to renew every 5 years to maintain your certification, it gives you incentive and hopefully your future employer to support you in additional learning opportunities to stay up to date in the food industry. I don’t think it hurts to pursue being a part of a professionally recognized society, but I know the upfront sticker shock is high. I decided to invest in myself and don’t regret it 🙂 For me personally, I feel like being a CFS motivates me to be an ambassador of our industry, and it has helped recognize and distinguish me from the other types of scientists we have out my company. I think that because I need to continue to earn maintenance hours, my employee has been really supportive and has provided me with more opportunities to do training courses, workshops and conferences. I’ve also been asked to share my experience with others on how to prep for the exam at IFT short courses, and it feel really good to help people! Please feel free to reach out with any more questions you may have! Thanks for the response! Reading through your about section and made me curious about your culinary certified scientist position. I went on the website and saw that they required “food service” experience. If you don’t mind me asking how did you manage to get a full year of food service experience on top of everything else you did? Hi Ryan, great questions! There are two types or certification based on your experience, Certified Research Chef (CRC) or Certified Culinary Scientist (CCS). Because I have most of my education and expereince in food science, I went for the CCS route. Based on my education, I was able to just pass the exam and have at least 3 years of work experience in food science. I did see that for the CRC the requirements are different. I did work on the weekends at catering companies and restaurants when I was going to school and working full time, but I wasn’t in the kitchen full time. I hope that helps! Sorry for so many questions, but I do find myself coming back to this blog since it is pretty helpful. I still have another 2 years of working until I am eligible to take the test. However, I definitely feel intimidated by the sheer amount of topics that I would need to know. It is like cramming all 4 years of what I learned in Food Science and Technology in a single exam. The question I have is about the recommended course. Does it cover each area and topic asked in the CFS handbook or does it just generalize every thing you need to know? I was a good student in college but I am not so sure how much I can remember after 3 years out of school. So I was hoping that course would serve like a refresher for each topic rather than keeping everything broad. I hope this question makes sense. Hi Ryan- I feel your pain! I had the exact same concerns going into the exam, especially since it was the first time it was being offered. I know the prep course is an investment, but it was the best decision I made to help me have really focused preparation for the exam. It broadly goes through all of the topics as a refresher, then from there you can determine where you need to take a deeper dive and do more studying. It’s really hard to get super in depth in just a few days (now they have a flexible online course that you can keep reviewing), but it at least guides you on what is more important to study. Also taking the course you have access to a community of other test takers to connect and study with. Another perk of the prep course is you get to take the practice exam multiple times, I found this to be very helpful! Remember that the test is experience based, many people have passed without taking the prep course. However I found the prep course to give me the extra confidence that I needed to pass the exam. Hi Jessica, I have an accounting degree but have taken lots of science courses as well as short courses in my field, ice cream production. I have been in QA for 10 years and want to get recognized certification, Do you think CFS is a good/plausible choice? Hi Andrew- Your experience sounds so interesting, I love ice cream! With 10 years of QA experience in the food industry, I definitely think pursuing CFS would be a good differentiating choice for you. Please feel free to ask me any questions you may have. I was able to find this website as I was searching up for university I can transfer to. I have great passion for food and cooking and I’m hesitating to either go for culinary world or jump into food science studies. I’m currently studying international relation in Japan, but since I have found that my real passion lies in food I might try to transfer to university in canada or america to study food science. However, I wasn’t very good at math and chemistry back in high school. Would you still recommend this field even to those who have weak background in science or math? Thanks! Hi Yuri- I’m so excited to hear that you are interested in food science! I’ll share a secret with you, I was not strong in science or math in high school either! Like you I was extremely passionate about culinary arts, but my parents encouraged me to pursue a bachelors degree and I discovered food science. The basic classes like chemistry, biology, statistics and organic chemistry are challenging but not impossible. I worked very hard during college to understand my gaps in knowledge, so if you have a good work ethic you can learn and pass your classes you will be fine. When I finally took food science classes, it was so much fun because I could apply what I learned in general science courses directly with food. Once I started my career, I went to culinary school and worked full time. It was tough, but I am now able to combine both of my degrees in my profession and for the food blog. Please let me know if you have any other questions, I’m happy to help! 1: you said you also went to culinary arts school but how are you using all the knowledge acquired in the culinary field? Have you also worked as a chef? 2: what are the best and worst parts of your job as a CFS? And what makes CFS special compared to regular food scientists? 3: have you had regrets on your decision for not working in the restarant or working as a chef? Please reply to me when you have time, thanks a lot again! Thank you for your reply. Have you worked a lot with people across the country? I like international settings but since I’m Japanese who has been studying english for almost three years I’m worried my english may not be strong enough to compete with others in the States for example? Or Do CFS get to work in any country if you choose to ? I have came up with a couple of other questions if you don’t mind having a look at them. 1: What makes CFS special apart from food scientists without the certification? I’ve read there’s a higher security of job when looking for a job but are there any other benefits? (http://www.ift.org/community/students/approved-undergrad-programs.aspx) the only universities where you are allowed to take exams to become CFS after graduation? What if you attend any university that is not on the list yet study food-related major, would you still be able to sit for CFS exams? 1) CFS is the only internationally recognized accreditation for food scientists. So obtaining your certification will gain you recognition across the globe of your continued efforts to reach the next milestones in your food science career. The certification is still pretty new, so I’m sure over time there will be more benefits that people will experience. 2) The test is not administered at a university. It is through a private testing center that is unrelated to where you studied for your degree. You can absolutely take the exam if you studied at a different school that is not on the list. Since I have found your website and got to know about working as a CFS, the more I want to study food science and become CFS. I love cooking, but I still want to remain in sort of ‘academic’ field yet using knowledge of culinary arts and working internationally, CFS sounds just perfect to me, Right now, I’m in the second year of university studying economics (there’s no science-related major so) I will apply for transfer students next year, hopefully I can get in somewhere. Any recommended place or university to study food science, or know anyone in different countries working as CFS? Hi my dear food scientist. I hope you recieve this message in good health. I m currently studying food science and nutrition here in nigeria. I m in my fourth year nd the whole of this year is for industrial training. I want to be trained in the nutrition department of a hospital, a bakery and in a food industry for a calculated period of time. I hope thats good right??? I have been thinking of what to study after my fifth year(after my degree). I love nutrition and i also love food processing and packaging while i dream of being a quality control manager, i also dream of owning my own eatery and bakery in future. I also love to take a culinary course say baking and patisserie after my degree. Hi Hudah- It’s a pleasure to meet you! I am happy to hear that you are studying food science! It sounds like you have many interests in the food industry, I can definitely relate. Working as a scientist in the food industry is a very different profession than being a business owner with a restaurant. Because you will have a wealth of education in food science and technology, I would get experience in food science first. Perhaps you could find a company that is nutrition based or bakery related so you can get an idea of how a business would work before you start your own. You could always take baking classes while you work full time. I went to culinary school while working at my current job, it was difficult but I was so passionate about culinary that it was worth the sacrifice. I also worked for free at restaurants during my days off to see how I like working in the food service industry. I’m sure whatever path you take it will help you figure our your true passions. I’m here to help if you have any additional questions. Good luck! Hi Jessica, my name is Xueting. I am a food science student from Chapman University and graduating next May. I have already signed up for CFS but still wait for approvement. Since I have almost taken all the classes according to the competency except for regulations, was wondering if I should buy all the preparatory classes or just take one I have never taken? And when you prepare for this exam, did you have a partner to study with? Thank you very much. Hi Xueting, nice to meet you! Great to hear you are studying food science. If you are asking if you should sign up for the prep course offered through IFT, I would wait until you hear back to confirm you are eligible to take the exam. If you need to take regulations to graduate, then definitely take the remaining course. I did not have a partner to study with, but there was on online study group if you take the IFT prep course that I thought was very helpful. IFT has an onsite or online course now offered. If you are considering taking the course, wait until closer to your exam. Please let me know if you have any additional questions! Thanks a lot for your answer!! Yesterday I was noticed that my application was approved and they were still processing my test to Pearson Vue’s. I feel so so excited now and am wondering what should I do next. Right now I have already taken more than 30 credits, which is way more than the requirement of my program, so there is no need to take another class for graduation. What am I asking is should I take all the CFS preparatory class or just choose the one I feel needed? Hi Xueting- Congratulations! Have you had the chance to review the study guide categories for the exam? If you feel that the information is fresh in your mind, and you can independently review the regulatory section, then you may not need to take the CFS prep course. The prep course is pricey, however you are allowed to take multiple practice exams and have a very focused review on each category. I also like how you can reach out to others in your prep course for studying and to the professors who teach the course. People do pass without taking the prep course, however if you like a targeted study approach and willing to invest the money,the prep course is very helpful in preparing for the exam. Yes, I already print out the CFS candidate book and review the study guide. For all the categories, regulatory is the only part I am not familiar with. I took product development and food engineering last semester, and last year I took QA & QC, food microbiology. Next semester I will take food chem one more time. Do you mean I can only have access to practice exams when I pay for the preparatory course? How can I reach out to others who want to take CFS also? BTW, my appointment is on May 21st 2016. How can I make a plan throughout four months? Hi Xueting- Yes, you can only have access to the full practice exams if you take the CFS prep course. You can try to email the contact I provided to see if there is a way to get in touch with other candidates. I will also reach out to my personal IFT contact for you to see how you can connect. What I did to plan was to create a calendar for each day/week what section and topics I would study to be efficient with my study time, and stick to it! You can start researching regulatory questions online and in books to see where you have gaps in information. Did you have the book resources recommendation list from IFT? Don’t you have a year from May 21 to take the exam? Happy New Year Jessica, this is Xueting. I already registered for the CFS preparatory course. However, I am still confused about how to make a feasible plan. Should I start with the online videos or to pick up a book and begin to read? My next semester is upcoming in two weeks and I am really worried about my last class-food chem. Also, in the beginning of this June, there is a oral comprehensive exam waiting for me. That exam is the last step for me to achieve the M.S degree. If I failed that exam, I will get trouble in staying in U.S. What should I do to prepare for these three tasks at the same time and succeed? Hi Xueting- Happy new year! For the CFS exam I would go through the online program, watch the videos and take notes on what sections you need to review more. I would also take the practice exam when available to get more experience with how the questions will be asked, so that you can also review further the sections that you may not have performed as well on. I would use books and websites as supplemental information to the online course. Don’t spend a lot of time just reading your textbooks, be very focused on the sections that need more review. Passing your final class and oral exam are priority. Try to review as much of the IFT prep course before you begin the food chem class in 2 weeks. That way you know exactly how much extra time you need to until May before the exam. Try to balance studying and prepping for the oral examination with your CFS studies. Just remember, you can always retake the CFS exam if you don’t pass the first time. Make sure to complete your classes and graduate from your M.S. It’s going to be a lot of dedicated time to studying, but stay motivated and try not to get distracted. Write out an overall study plan for the next 5 months and a plan on what to studdy each week, and don’t procrastinate. I know you can do it! Good luck! Hi Jessica, thanks for the suggestion. I will start to take that online course from this week. I found that online community was really helpful and made me feel that I was not alone. The reason why I want to succeed so much in CFS at this time point is that it might help me to find a good job near Orange County after graduation then I do not need to worry about my identity in U.S. at that time. I am graduating this May 2016 with a bachelors in dietetics, food and nutrition but I hope to obtain my grad degree in Food science. Is my bachelors generally accepted? Are the programs very competitive, I have mostly Bs in my science courses but mostly As in my nutrition classes. I love science, working in a lab and food science so I know this would be a perfect career for me. Hi Diana- Hello fellow food scientist! A bachelor’s in science should generally be accepted for a master’s degree. Some programs are competitive, but the people that I have know that pursued the master’s all got into programs. I think it’s a little more challenging if your are looking for a scholarship/paid master’s program. Is there a university in particular you are interested in? I live in New York City and am willing to move but within the north east region. I would love to attend Rutgers though, that’s my first choice. How can I find experience in this field in the meantime? Hi Diana- Great school! Does your current college have any opportunities to work on campus in food science, dietetics or nutrition? Or are you a member of any clubs? Just try to network and get experience where you can, even if it’s just helping with little projects. For example, I joined the dairy science product development team and we made a probiotic ice cream bar. There were also some research opportunities on campus to help grad students in the lab. Talk to your professors and classmates to see what is going on in your department so you can get more experience. I hold a Bsc degree in Food science and nutrition and i have almost 2yrs experience working in the quality control department as a line inspector. i would like to explore other ares of food science and nutrition that will not only confine me to a lab and shift work. do you have any suggestions? and what post graduate courses do you think i should take? i have a keen interest in sensory science and nutrition. Sensory science is really interesting becomes it combines sensory perception, psychology and statistics. For nutrition, maybe you can see if there is a basic nutrition class offered at your local junior college? Also attending IFT annual conferences, or other food industry conferences and attending poster session and lectures could help gauge your interest in nutrition and sensory science. Are you thinking about pursuing a masters or PhD? I am Xueting, coming back here 🙂 I just finished all the online preparatory course and was wondering what should I do next. There are a bunch of website links and books on the resource list on the website. I am really confused about these, your advice is to look at the syllabus posted and read. However, when I went through those practice problems, I found they were very specific and not really mentioned in the lectures. How can I efficiently utilize those resources to be able to figure out those problems? Thanks a gain. Happy President’s day! Hi Xueting- Great job completing the course! Are you able to reach out to other CFS exam prep participants or the course moderator to ask how they would solve the problem? Remember that the test is based on practical applied knowledge, so many of the answers are based on your experience and your best choice. I like to narrow down to two answers and make a decision from there. Also take a look at the breakdown percentage of each category and emphasize a majority of your studying in those higher percentage areas (like food chem, micro, safety, regulations). For example, you don’t need to become an expert in food engineering. Take a look at the links provided by the IFT CFS website to help you brush up on those areas you felt uncomfortable with. Also maybe find a study group or someone else who is taking the exam so you can bounce ideas of each other. As you take more practice exams make sure to take note of questions you didn’t understand and do more research online or through the books. Good luck! Thank you very much for your advice! Really appreciate it! I will start to look at the breakdown percentage of each category then focus my weak area. 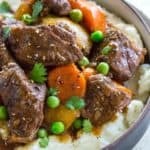 Hi, I’m doing a research paper on food scientists and I was wondering what score do you need to get to pass the CFS to get certified? The Certified Food Scientist examination is comprised of 120 questions. Of these, 100 questions count toward your score. The remaining, unscored questions are included in the test with a view to being used as scored questions in future examinations.As is common with many other tests around the world, the CFS exam uses a scaled scoring system. The scale is between 100 and 900, with the passing score being 650 or higher. The passing score was established by a group of global Subject Matter Experts (SMEs) representing a wide variety of backgrounds in food science and was conductedunder the guidance, and validation of professional psychometricians (experts in the science of educational and psychological measurements). hi, I’m from Ireland and I’m considering studying food science at an undergraduate level however i didn’t know you have to take professional exams. I thought you just sit end of semester exams. I also know a few graduates from the course that are in employment and there’s no mention of the exams. Is this just in America? Hi Jenny- I’m so happy to hear you are interested in studying food science! You do not have to take a professional exam to become a food scientist. It’s an additional certified food scientist accreditation that you can earn through education, work experience plus taking an exam. It’s something that you can look into later on in your career, but do not need it to graduate or enter into industry. I hope that clarifies things for you! Hope you still remember me. I am Xueting from Chapman. I just get notification from IFT that I have passed CFS exam. Also I passed the oral comprehensive exam of our major so I am officially a master of food science now. Thanks a million for your advice and I wish you all the best in both life and career! XUETING!!!! I am so happy for you! So many wonderful things happening because you worked hard and focused. Congratulations! This news made my day, please let me know where you begin your fruitful career. Cheers, time to celebrate! Hi Chy. its always nice meeting Food scientists. I am also a food science student in Nigeria, to resume final year next month. I just concluded SIWES a month ago. Its good to hear u going for your Masters having worked for 5 years. Best of luck to u.
I want to know where you worked and how u enjoy working as a food scientist and what advice will you give me as a final year student? how many points are acceptable for the food science and nutrition study?? Hi Blaise! I’m not quite sure what you mean, can you please elaborate on your question? i just completed my grade 12 last year and i want to study food science and nutrition and i got a 2 in food and nutrition so is it okey for me to study this course in zambia?? Hi Blaise! Have you applied to any colleges to see if you could study food science? I’m sure they could help assess if you have the right requirements. I hope you continue to pursue your food science and nutrition dreams! Stumbled upon your post looking for the recommended schools to study Food Science in. I’ve been working on the commercial side of a food company and have recently set my eyes (and heart) on learning how to create amazing food. I haven’t been able to find any good websites that review and compare what the course is like in different institutions and was wondering if you could share what you know–what are the top schools? What are each’s strengths? Where are they located in the world? It is true, each school tends to have a specialization. Do you have a specific area you want to study? Viticulture and enology, food processing, sensory, etc? I attended calpoly SLO, and they have a strong food and dairy processing program. Would you be pursuing a masters or bachelors degree? Hi Jessica, greetings from Malaysia! 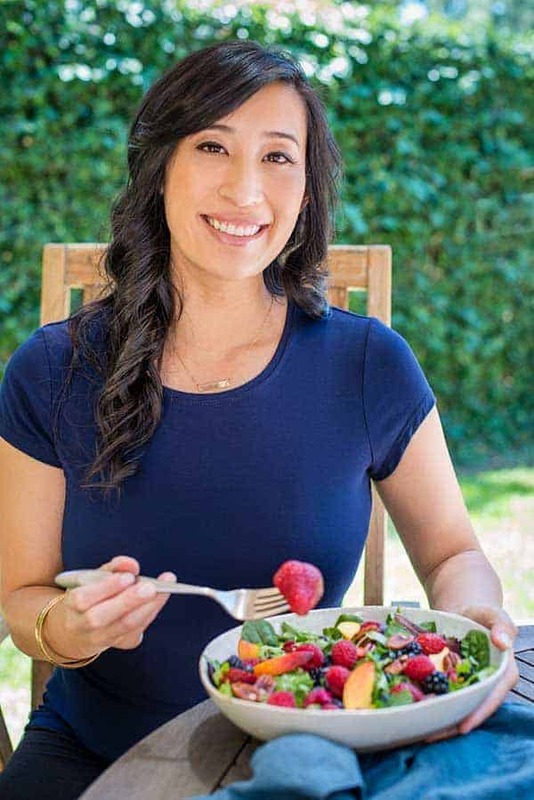 🙂 I’m so glad I stumbled upon your blog as I was looking to connect with a food scientist, and I love seeing how passionate you are about food science. 1) I am 26, looking to start studying next year. So I will most likely be 30 when I enter the workforce in the food industry. Just wondering if age will be a disadvantage in this field in terms of employment? I’m also keen on gaining international work experience and wouldn’t mind relocating. 2) When searching through programs at universities, what are some of the things that I should I be looking out for to ensure that it is a good program? I know I’ve got my work cut out for me, but I’m feeling excited about the journey. I shall start researching in more depth regarding the programmes and will probably be reaching out again if I have more questions. Have a lovely day! I have a question, (no offense lol) but I think food technology is generally thought as something “bad” or “unhealthy” because they are more or less processed, but what are good sides of processed products? Can food technology be applied to helping developing countries? Hi. I hv completed my masters in food science and technology. Now I want update my knowledge I don’t hv any work experience. Can I take CFS exam? Plz suggest what should I do to to join this field as my carrier? I think your education path was very interesting. What made you decide to attend a culinary school and get your Associates after already having earned a MS degree? Also, what advice would you give to someone who is considering attending culinary school? I have a 17 year old daughter and its her dream to be a chef at a 5 star restaurant and eventually own her own business. So any advice or pointers would be greatly appreciated. Congrats Priscilla! I think it definitely helps to have a masters for quicker advancement and more interesting roles in a food technology company. To do a PhD you have to really be passionate about a certain research topic, it takes many years so it requires dedication. What are your career goals?